On 23 November 2015, few groups from different parts of India came together to do Shramdaan, which involved coordinated efforts by different voluntary groups towards improving cleanliness and sanitation situation in their respective cities. 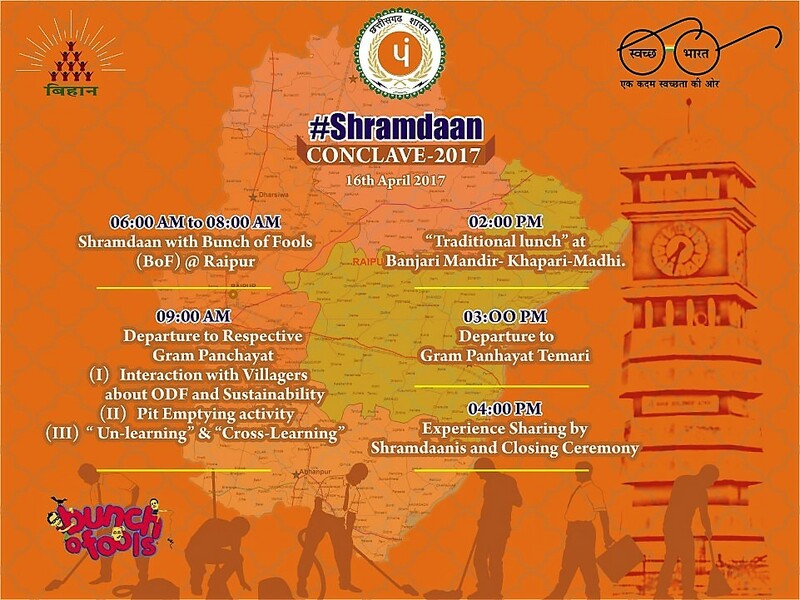 The concept of Shramdaan was furthered by Prime Minister Narendra Modi who appealed to the citizens of India, through his radio address Mann Ki Baat in September last year, to devote a few hours for Swachh Bharat by participating in various cleanliness activities. He also urged citizens to share pictures and videos of their ‘#Shramdaan’ and further strengthen this mass movement across the country, and many citizens and groups are doing exactly the same. Thanks to the determination and perseverance of these individuals and groups, a certain stability and continuity has been achieved. Now they are ready to scale up Shramdaan to new heights. 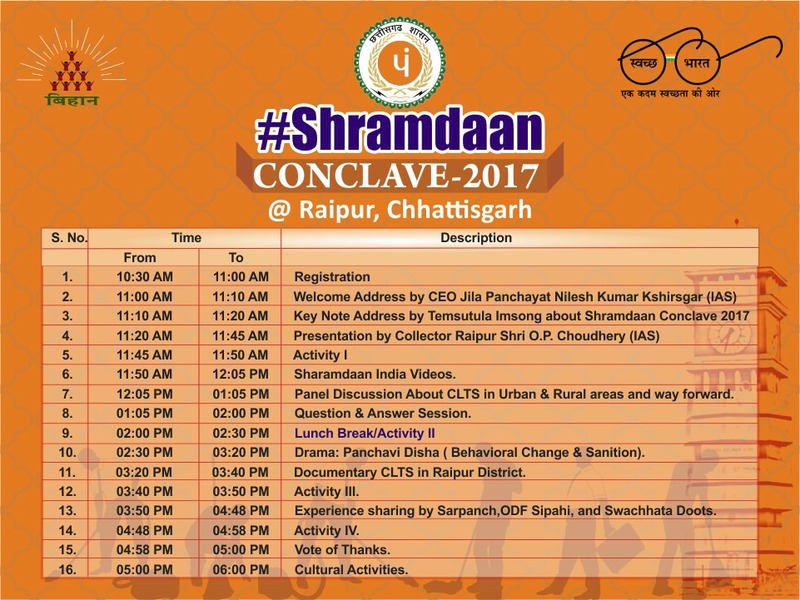 To take a step towards the same, a Shramdaan Conclave is being organized by the Raipur District Administration (Chhattisgarh) and a volunteer group named “Bunch of Fools” on 15-16 April 2017. Papers and presentations from different groups have been invited. The conference seeks to define and draft a clear course and model of public participation in Cleanliness & Sanitation. The aim is also to deliberate upon channelizing the energy of masses towards #SwachhBharat.